Kanye West has revealed he wants to marry Kim Kardashian next summer and is planning a huge ceremony including fighter jets. 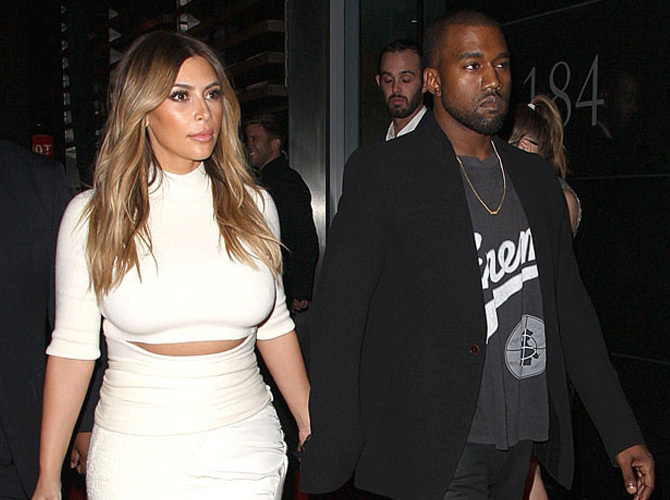 Kanye West wants to marry Kim Kardashian next summer. The "Power" rapper—who popped the question to his reality TV star girlfriend last week on her 33rd birthday—has revealed he and Kim will likely marry in the summer of 2014 and he is planning a lavish ceremony complete with aircrafts. He quipped: "Two words: fighter jets." The 36-year-old star, who has a four-month-old daughter, North, with Kim, opened up about his lavish proposal at San Francisco's AT&T Park stadium earlier this month, admitting he was "nervous" about getting down on one knee. Kanye rented the entire baseball stadium for the proposal, hired an orchestra, and had a fireworks display light up the sky as he asked his lady love for her hand in marriage with her family and friends watching on. Ever the perfectionist, the "All of the Lights" rapper says he was worried about "everything being on cue" and hoped to have Lana Del Rey perform for him and Kim, but instead he had to settle for an orchestral version of her song "Young and Beautiful." Kanye also revealed that he changed his mind about his new fiancée's engagement ring just 24 hours before popping the question and only selected the 15-carat diamond ring he presented Kim on the day of the proposal. Speaking on US radio show Big Boy's Neighborhood on Power 106 FM, he said: "Kim knew I was eventually going to ask her to marry me. I just had to get that ring right. I worked with four different jewellers. Three rings were made and only one hit the ringer and that was Lorraine's. I actually changed the ring the night before. The ring was less than four hours old when I gave it to her."